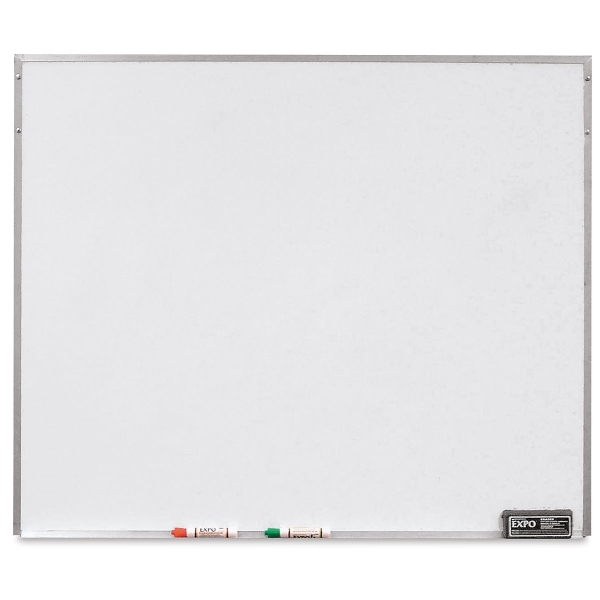 Customize and enhance your meeting or learning space with the Screenflex Portable Dry Erase Markerboard. Installation is simple — use the adjustable metal hangers to hang the whiteboard from the frame of your room divider at whatever height you desire. The 36" × 42" markerboard is made of 1/4" tempered hardboard with a melamine surface. The whiteboard works with standard dry-erase markers (sold separately).